I usually post my seven-question interview of Wednesdays, but today is really special. My very own agent's memoir, Falling In Honey, will be released tomorrow, March 4th, in the US! RAISE A VIRTUAL GLASS AND TOAST THE AMAZING JENNIFER BARCLAY! 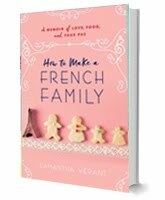 I first discovered Jennifer while researching the types of memoirs my now publisher, Sourcebooks, was acquiring before I sent my pitch off. Eventually, Jennifer and I connected on Twitter. And then we started exchanging emails. One thing led to another and Jennifer agreed to represent little ol' me. Which brings me back to Jennifer's memoir. I read the UK edition of Falling in Honey this past November. A true armchair escape, I found myself discovering the small island of Tilos right along with Jennifer, and pondering how life's simpler pleasures — like taking the time to stop and smell the honey and savoring every moment – can change your entire perspective towards life. Jennifer weaves a wonderful tale, introducing us to the Greek culture while searching for her inner happiness and mending a broken heart. But, in the end, Jennifer's love affair isn't with a man; it's with an island, and, more importantly, herself. Falling in Honey is written from the heart– one of those feel good reads that transports you. Today, I'm thrilled to introduce you to both Jennifer and her beautiful story. "I came here looking for some kind of happiness. I think it might be the cleverest thing I have ever done." One heartbroken winter, Jennifer decides to act on her dream of moving to a tiny Greek island – because life is too short not to reach out for what makes us happy. Funny, romantic and full of surprising twists, Falling in Honey is a story about relationships, tzatziki, adventures, swimming, Greek dancing, starfish… and a bumpy but beautiful journey into Mediterranean sunshine. 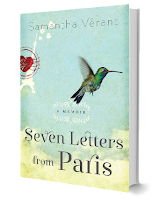 I've asked Jennifer seven questions about life and l'amour. 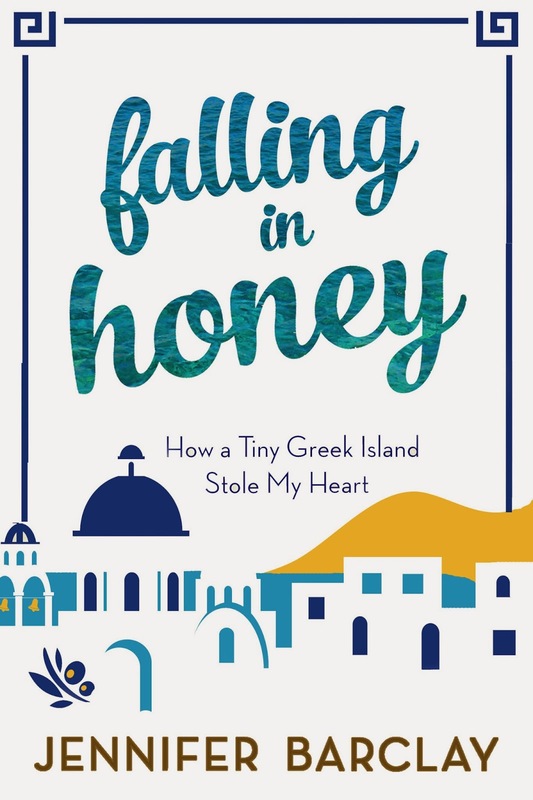 1) In Falling in Honey, instead of falling in love with another man after a traumatic break-up, you leave your life in London and find solace on the small Greek island of Tilos. 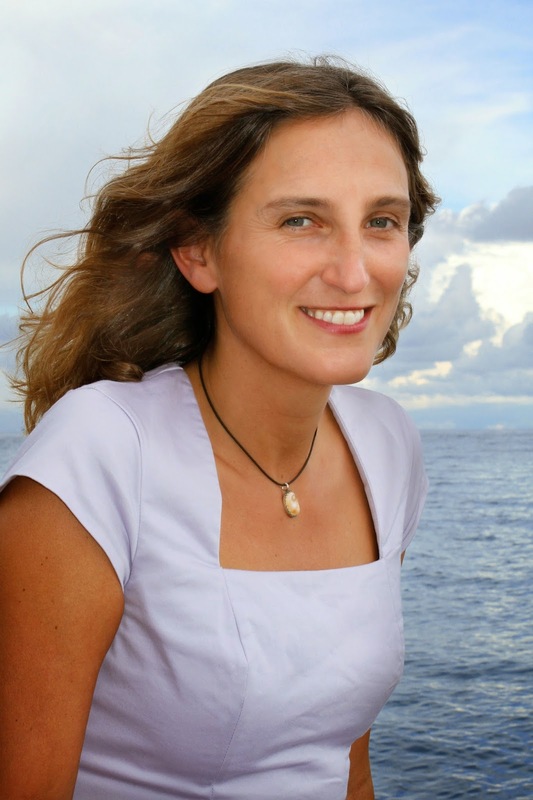 What was it about this island and/or the Greek culture that awakened your inner happiness? There’s something about the dramatic intensity of the landscape here that speaks to me; I love it when it feels empty, abundant, wild, untamed, untamable… I grew up in a village in the north of England surrounded by rugged hills and wild open spaces, and we also spent part of every year in the Scottish Highlands; Tilos feels like all that combined with all the sunny, warm Greek island holidays I had with my family when I was a child. When I went to Greece to teach English after finishing university, I found life a constant adventure, an escape from the grey, the dull and the difficult. Here I often walk through lush countryside bursting with wild flowers, dive off a beach of pink sand into clear, deep blue sea where I can watch the fish, then dry off in the sunshine…That seemed, to a person disappointed by love, a more reliable route to happiness. 2) As an expat living on a tiny island, what are some of the frustrations you’ve faced? Do you ever get island fever? I’ve been pretty lucky actually in that respect. The difficulties – which I felt most acutely in my first winter – were mostly of my own making, for example committing to an English class for some island kids on Fridays, without thinking that Friday was the only day I could take the boat off the island. Since that first year I’ve learned a few things about life on a tiny island; e.g. at the first sign of a storm, unplug all cables – rain here means lightning that can burn a modem in seconds – and where are you going to get a new one?! Every now and then I feel the need to be in a big buzzing city, so I go to Athens or London, have a blast and spend loads of time with family and friends, and then look forward to getting back to Tilos. 3) Moving to a foreign country by yourself is an extremely brave undertaking. Would you consider yourself to be an adventuress? I like to think I’m a little bit adventurous, but coming to live here was simply something that I knew I wanted to do, a dream that had been with me for a long time, which I finally felt in a position to put into action. I’ve lived in several countries and I think I’ve taken good things from everywhere I’ve stayed for any length of time. I already spoke some Greek when I moved here, and had my own work. There are people who’ve moved here without a source of income, or easy way of going back or moving on – that’s brave! 4) How has your life become more simplified? More complicated? Life has become simpler because I know what makes me happy – writing, editing books from home, walking my dog, swimming in the sea, reading, eating good food, spending time with friends. Some people think that because life is simpler, it’s slower; but in fact I’m mostly pretty busy. For the last couple of summers I was helping in a busy kantina on the beach in the mornings, doing my own work in the afternoons, walking the dog in the evenings, and there was often a dinner out or a festival at night with traditional dancing til late… In the winter here you have to cook for yourself more, bake your own bread and cakes, which is time-consuming but fulfilling. But I do take the time to appreciate my surroundings – sometimes I’ll just stand and watch the stars or the moon. 5) If there was one lesson or thought you’d like readers to leave Falling in Honey with, what is it? Life is too short not to reach out for what makes you happy. A friend of mine died last year in an accident, and once again it reminded me to do what you love every day. 6) How did you come up with the title? What does falling in honey mean? In my book, there’s a Greek friend who uses the phrase to mean falling in love. Isn’t that a wonderful image? Coming to a sticky end… but what a way to go! Drowning in sweetness… Tilos is famous for its honey and I found my new life here very sweet, living next door to a honey factory. 7) What’s next for Jennifer? Have you fallen in honey? Thank you, Jennifer, for taking the time to answer my questions. I'm once again inspired to pack up my bags and head to Tilos-- what a way to go!